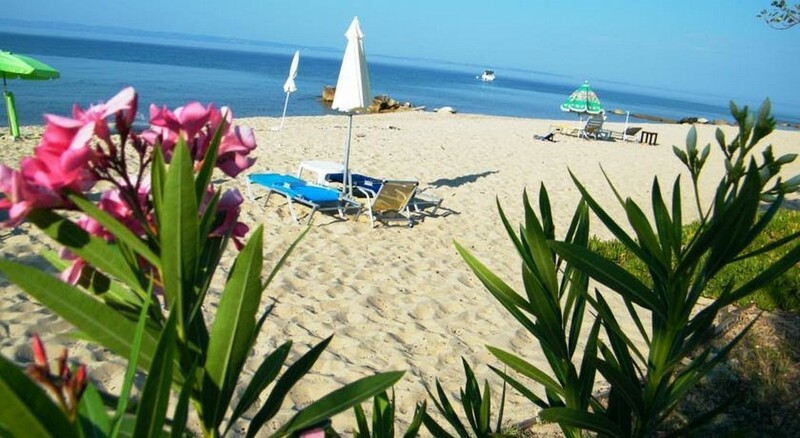 The beach - Epavlis "Kaleas Inn"
The beach is only 100 meters from the Epavlis, and is accessible on foot from the alley. 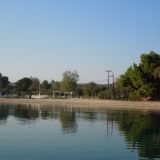 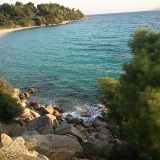 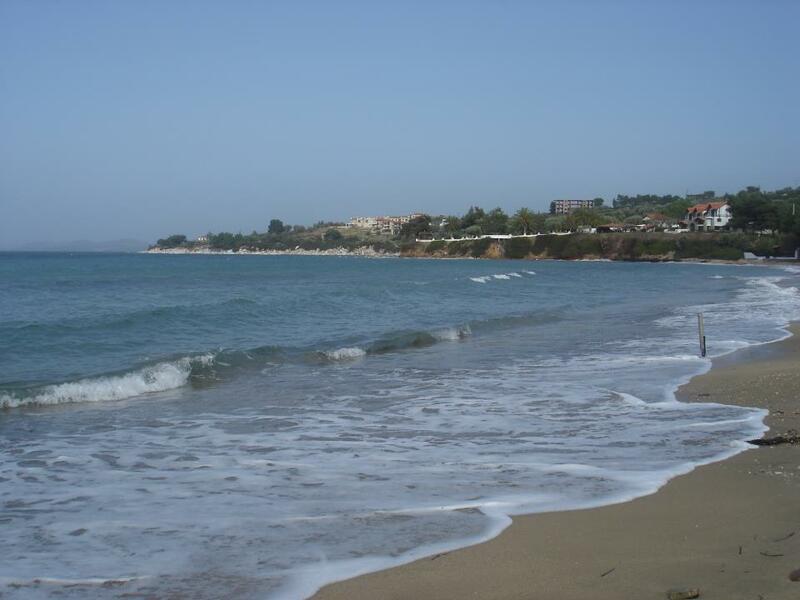 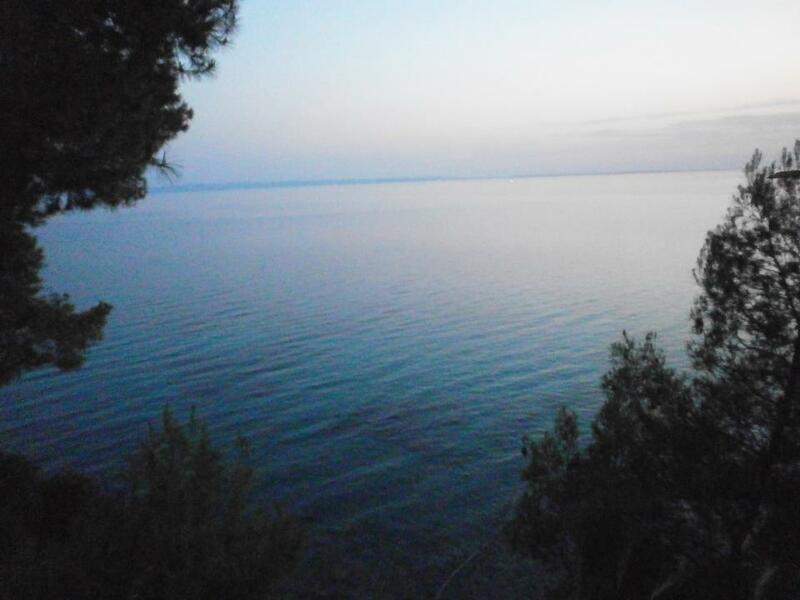 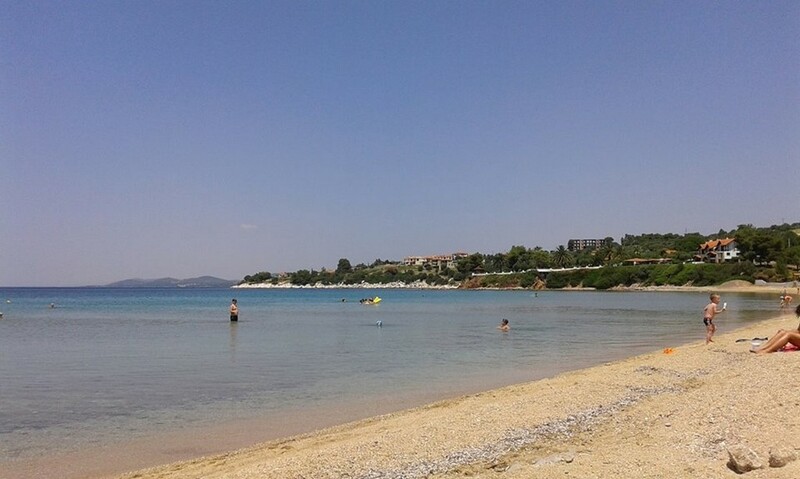 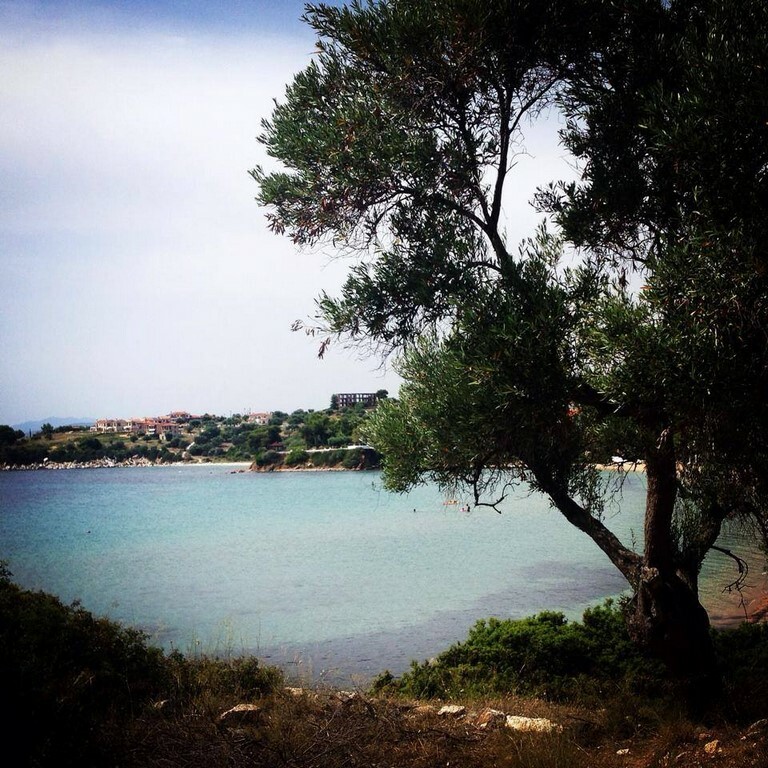 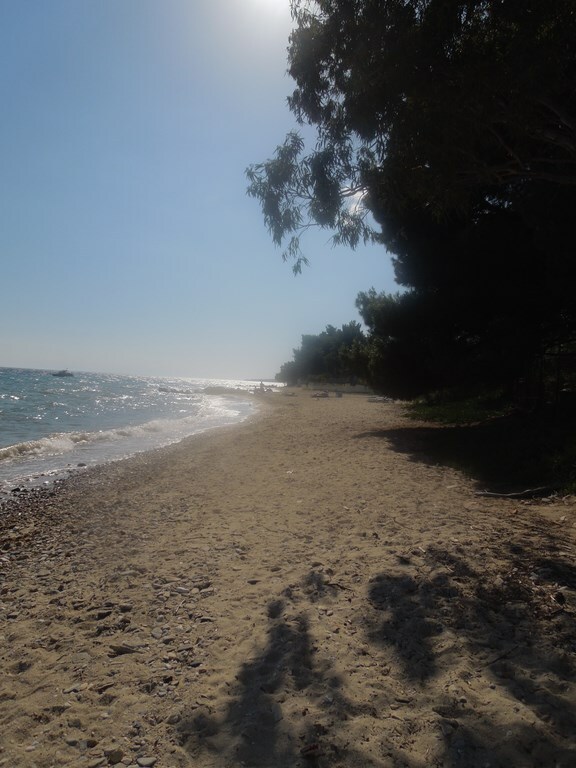 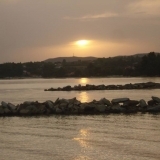 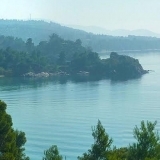 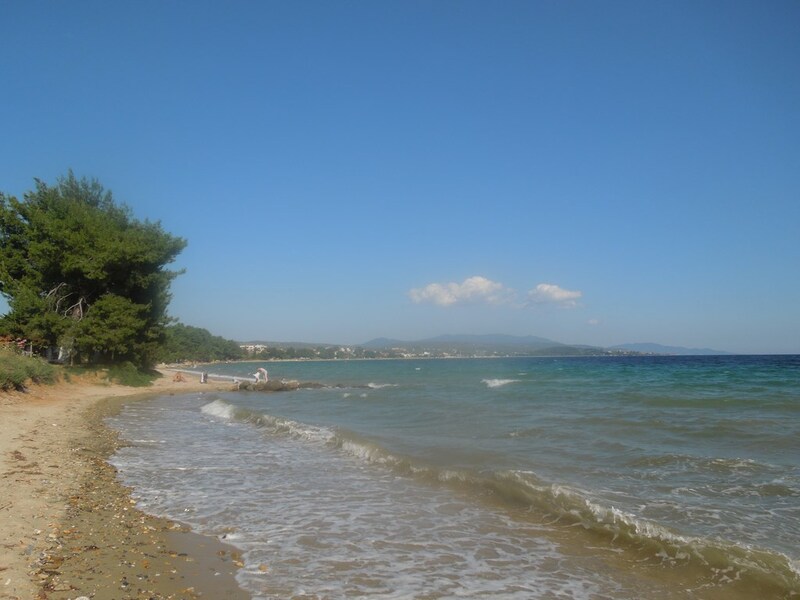 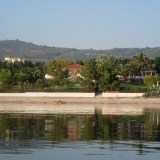 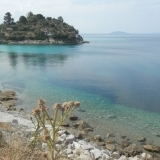 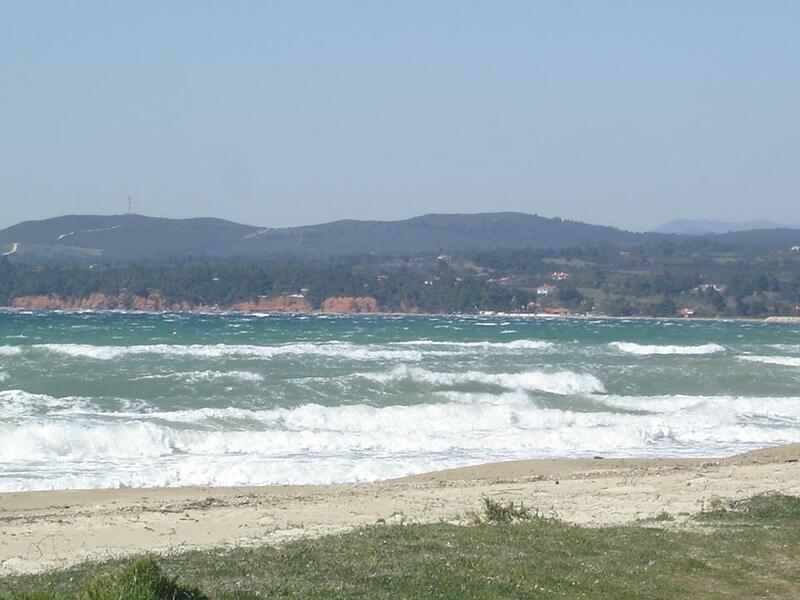 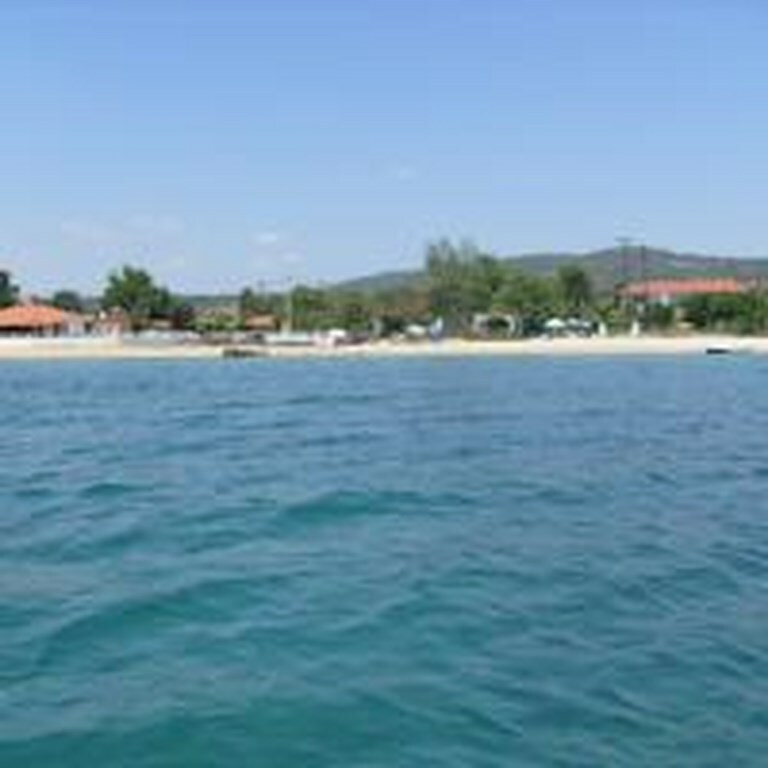 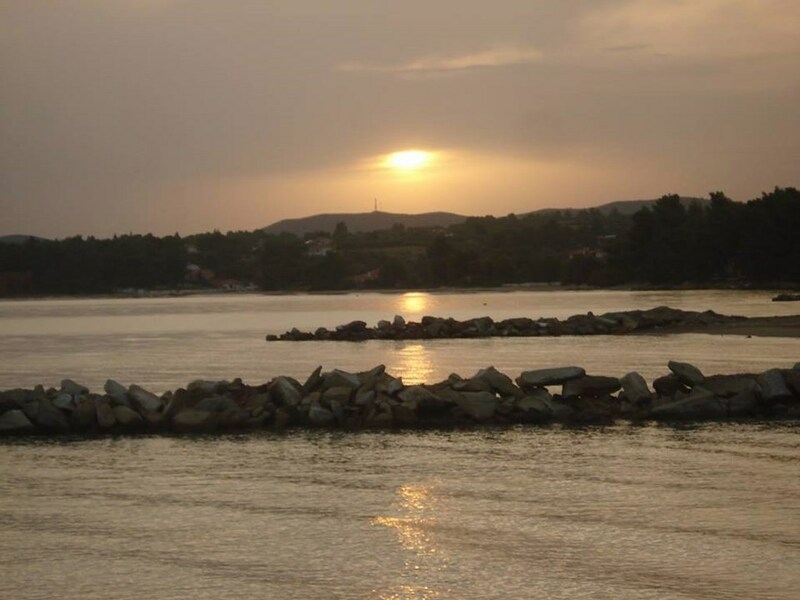 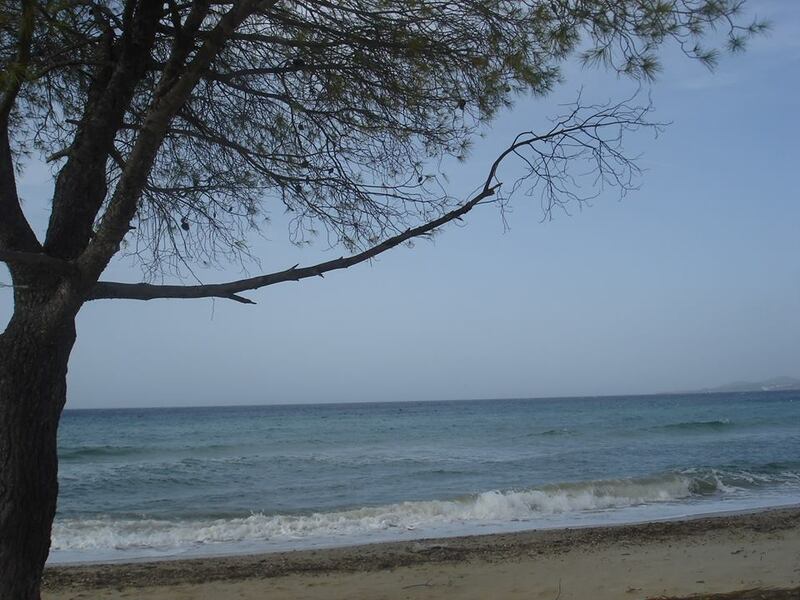 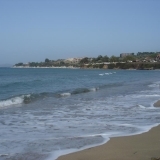 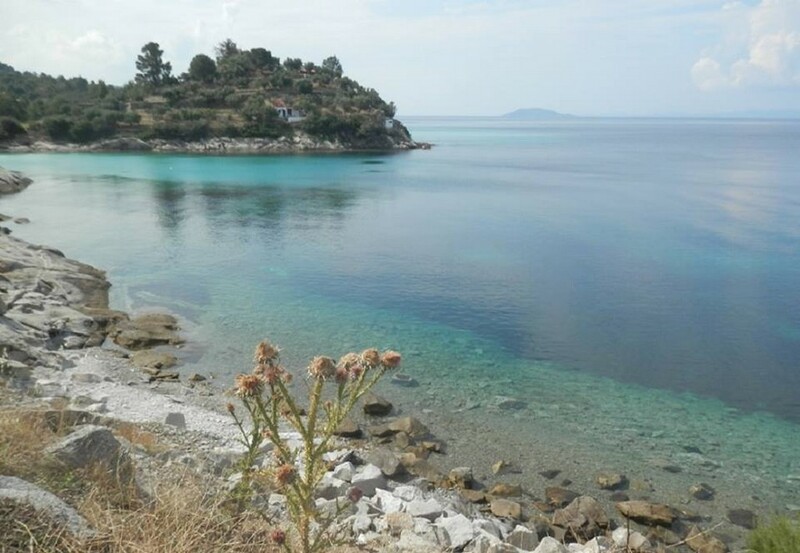 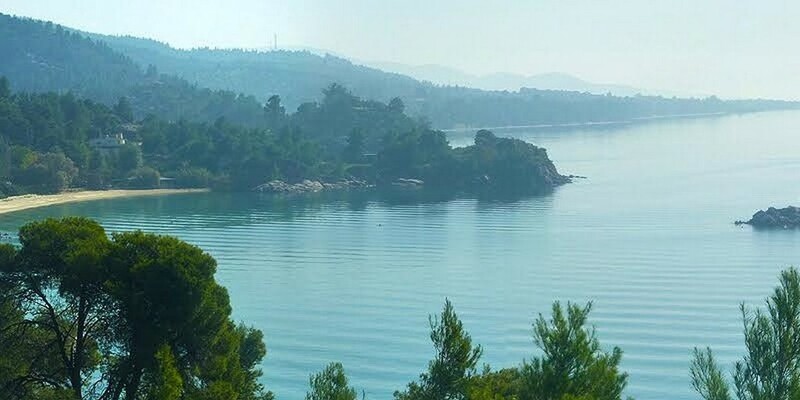 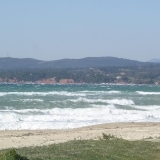 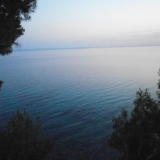 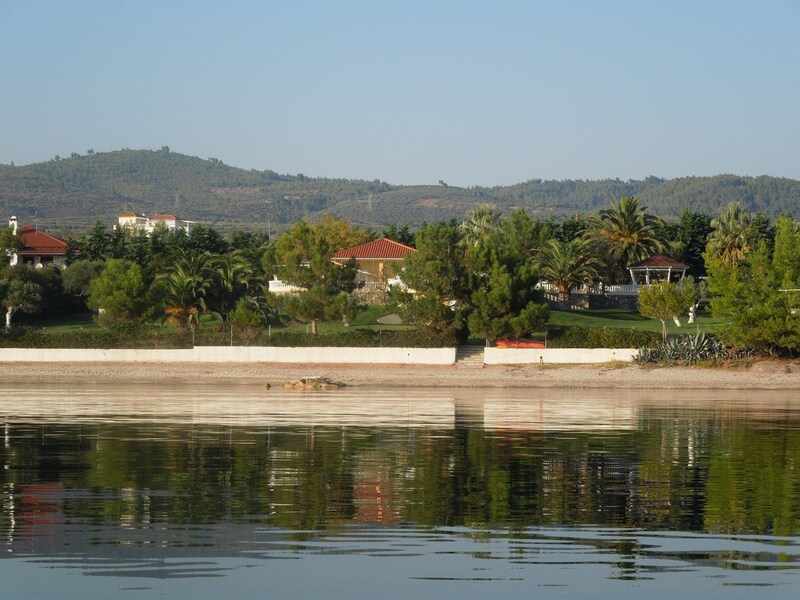 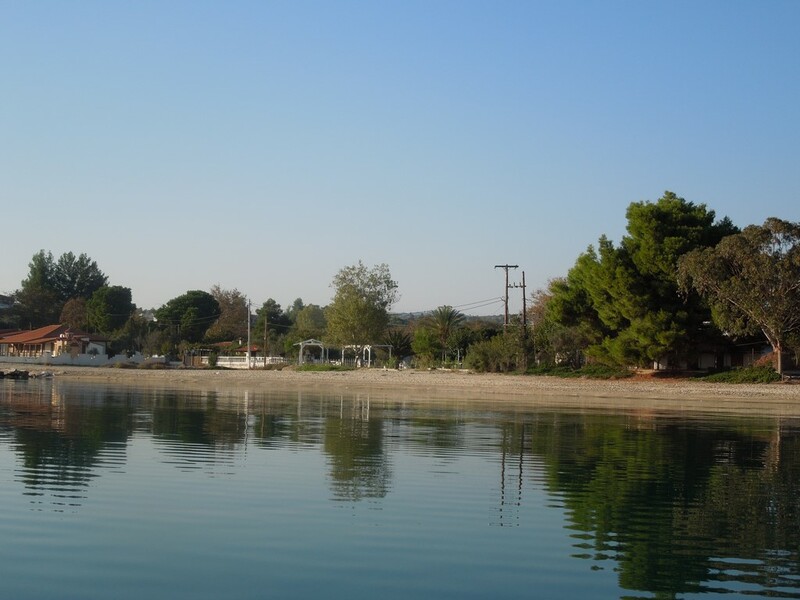 The Kastamoniti coast is our neighbourhood beach, for our family acquaintances and friends in the area. 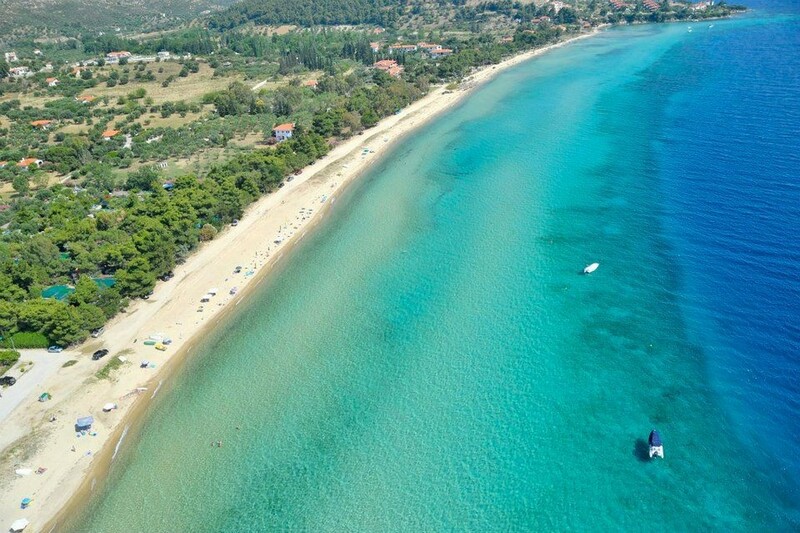 Clean, green and blue with clean sand and it is ideal for all ages. 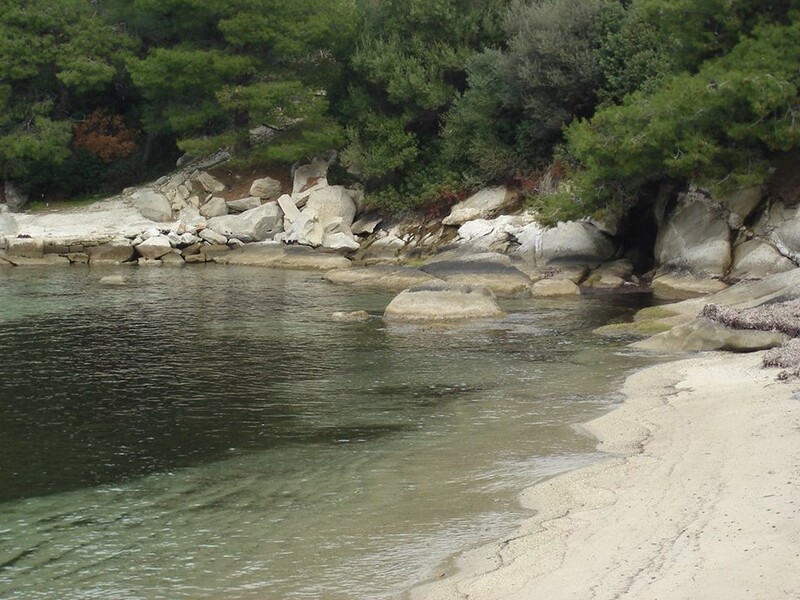 Shallow at first, then begins to deepen smoothly, giving you the opportunity to swim in the depth desired. 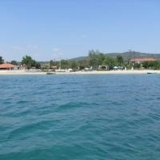 The friendly beach with the golden warm sand embraces you and relaxes you. 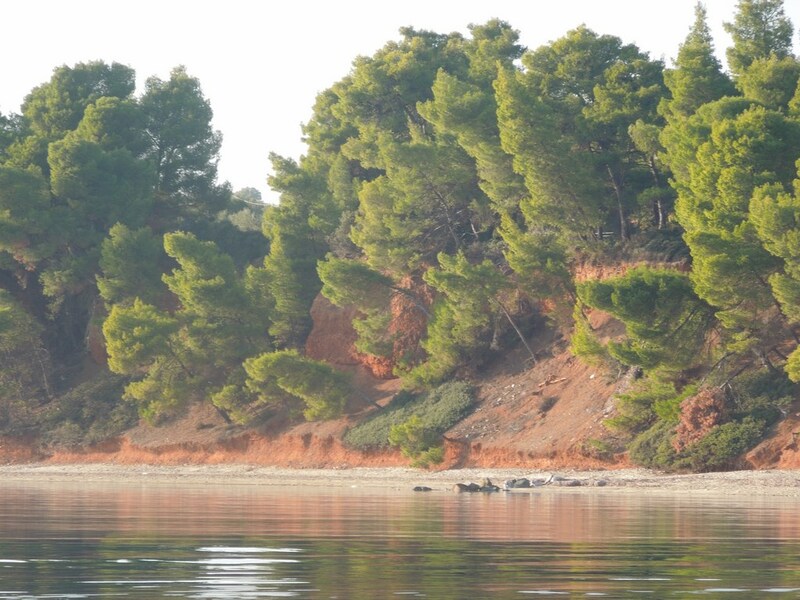 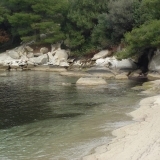 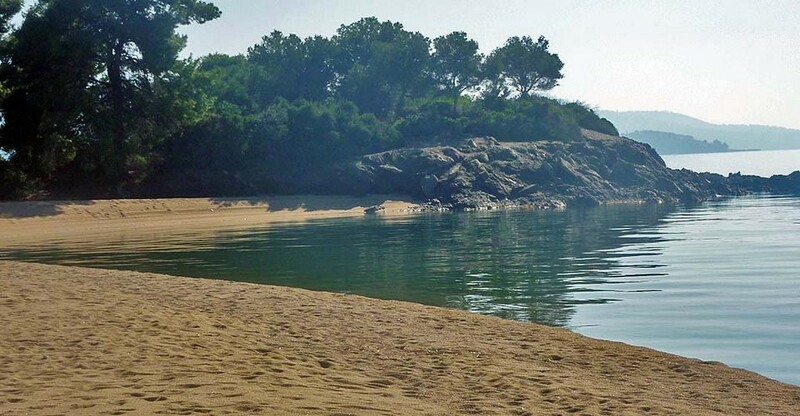 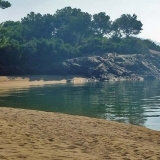 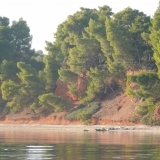 Follow our beach natural terrain, creating small secluded beaches under pine raised red rocks "red" as mentioned, for those who prefer that type of beaches. 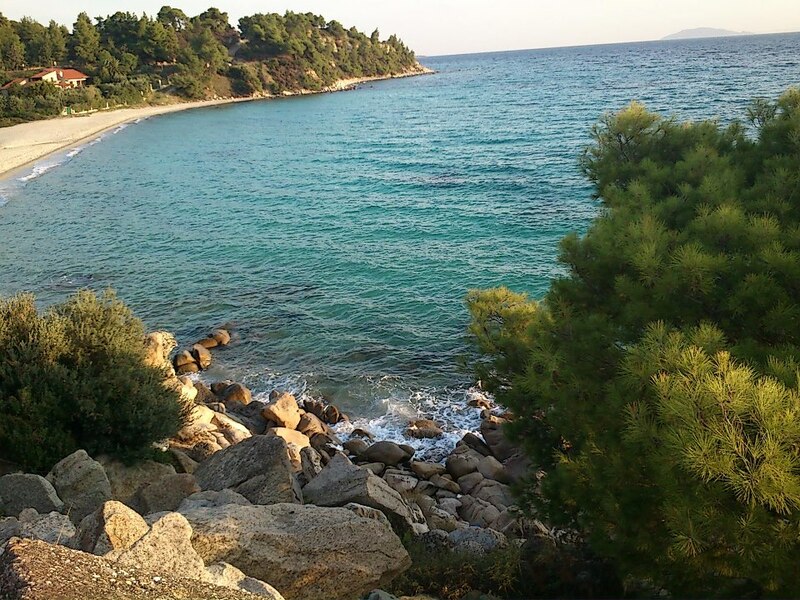 If you choose another beach (we recommend it), there are many options. 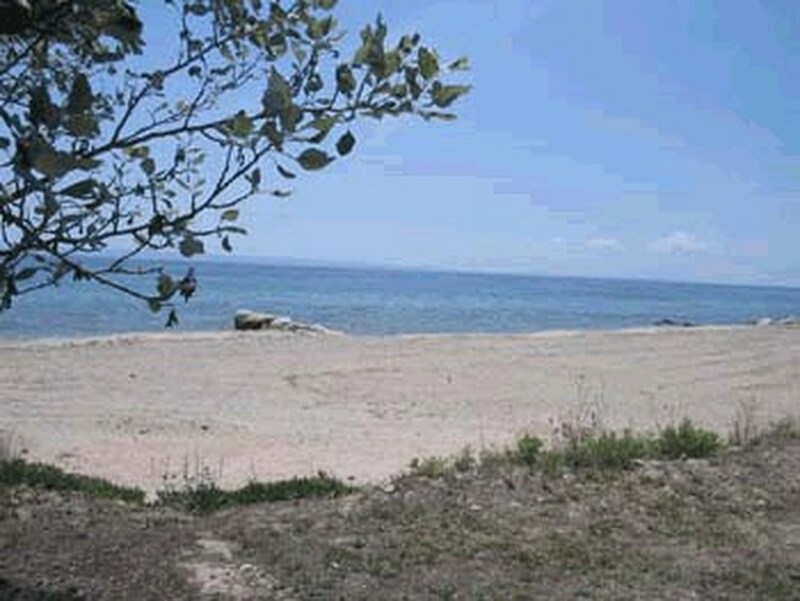 Each with its own charms and amenities (organized or not) within 5 -10 km. 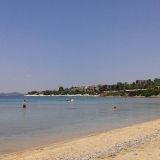 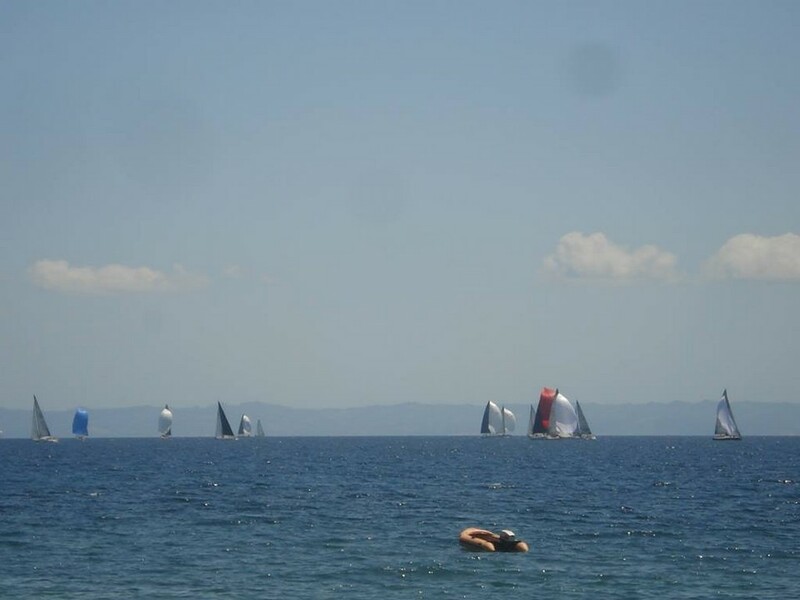 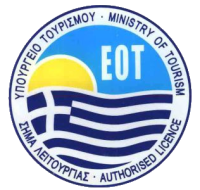 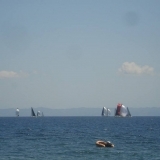 Few of them are: Beachwear Nikitis, Ai Giorgis, Castri - Amerikanos, Agios Ioannis, Koviou, Elia, Tripotamos etc.